T Profile picture frames appear to float off the wall. They have a simple, elegant appeal designed to complement, not distract from, the art inside the frame. We hand-make each frame to fit your artwork. The welded, finished corners means there are no seams or visible joints. Because of this, there is no comparison to a typical “chop” frame. 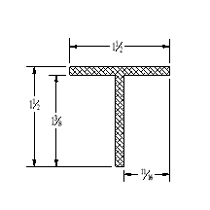 Our finished corner T profile picture frames are made to your size requirements and include a 1/16” allowance. We have two standard profiles and are open to your ideas. 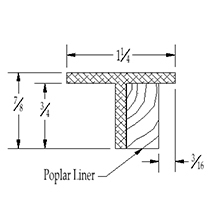 We can trim our standard profiles, or order specialized materials for your project. There are maximum sizes for some of our frame profiles, but we are well-known for making very large picture frames. Just ask. 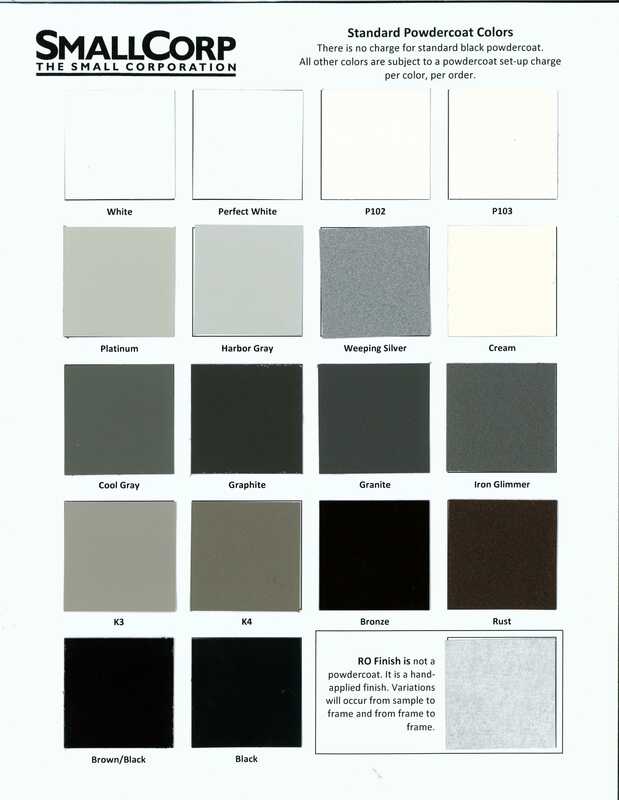 We offer brushed sides and face, a random orbital (RO) finish, and 18 different powdercoat colors. We do not offer a polished finish for this frame. You can see our powdercoat chart here, but the real thing is always better. Just contact us and we’ll mail one to you. The TIG 40 comes with an installed poplar liner and hangers. You’ll need to specify vertical or horizontal orientation. The TIG 50 comes with predrilled holes and a traditional 1 ⅜” x ¾” deep poplar strainer.